Everton striker Richarlison has reacted claims he is considering a move to Merseyside rivals Liverpool after his agent reportedly held a meeting with Jurgen Klopp. The Liverpool manager is said to have sat down with the Everton star’s representative Renato Velasco at his house on Merseyside but the nature of the talks are unknown. However, the 21-year-old tweeted ‘I’m happy’ on Friday accompanied by pictures of himself biting the Everton badge and scoring for the Toffees. According to UOL Esporte in Brazil, Klopp invited Velasco to his home. 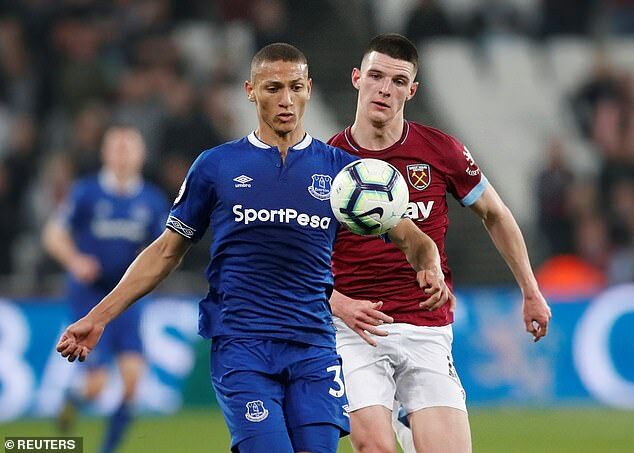 The information sparked concern among Everton fans that the way is being paved for a shocking move to their fierce rivals, but Richarlison has now quashed the rumours. Richarlison only joined Everton last summer, reuniting with Marco Silva and signing from Watford for £35million. He has scored 13 goals in 33 games this season and the 21-year-old’s contract runs until 2023.